Fellow bloggers, does this ever happen to you? Cute outfit, bad photos? Today I had a major case of the bad photo blues for a number of reasons. We went out at a bad time of day to take photos and there were shadows everywhere. The sun off the snow was blinding and I am squinting in 99% of all of my pictures. My pale little legs actually blend in with the snow in these pictures. All of that plus the wind just made it uber-difficult to get good pictures. Oh well, live and learn. 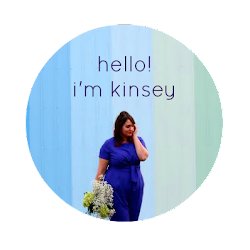 Have you "Liked" In Kinsey's Closet on facebook yet? I am so digging the colors you put together here and I always love a little critter on an outfit. Lovely! And I think the super-bright photos actually just amplify the energy of the outfit. I love these colors together! Stunning color combo and I love the silky shimmer of the blouse too! The wind and the lighting actually look pretty cool, like you meant for the special effects. Love your color palette! and that pin is freakin adorable! WOAH. this color combo is blowing my mind! its so perfect in every way! yes...good outfit/less than great photos happen. :( youve got nothing to wory about, though - i am LOOOVING this outfit! I did my first morning photo session yesterday and I totally feel you on the squinty eyes ething. But you still look fabulous in these photos so no worries. Love this color combo! You look beautiful! "Pale legs c/o winter" you crack me up Kinsey! I love all this color, you look so fun today! Love love love these colors together! You really look fabulous. And, you don't even wanna see my legs right now! So pale. I can't even handle it. Amazing outfit! So bright and colorful. It makes me smile just looking at your photos! I also had a major issue with my photos today, so I am feeling with you. You rocked it anymays! 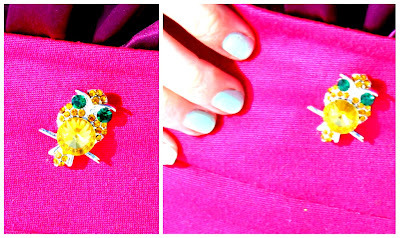 Love the brights and the interesting pin placement! Look at the little bug brooch...Love it! I'm really liking the purple and red combo plus those shoes are HOT!!! I hate when the photos don't reflect the way you feel about an outfit! But like others have commented, the pale colors make the brights seem more vivid. Love the skirt-over-dress trick, it's my fave. Yes, I am never happy with my photos. But you can still see the beauty in your outfit, I love your style and I want it to marry my style. What do you say? Completely in love with this outfit and the cute pin! You have an eye for color! Such a cute owl pin! This color combo is great as well. I love how simple and chic you keep your outfits. Sorry the photo shoot was a nightmare, but you look fantastic. Love the color palette. Stunning! i thing this trend with strong colors is great for you! These colors are amazing. But GIRL, bare legs?! It's not as cold here as it is there and I won't even wear a skirt and tights! How do you stand it! I have that same set from WINTER! YES! And totally feel you on the crazy photos some days. The wind is currently my mortal nemesis. But guess what? You still look stunning. So keep on rocking that sunshine! 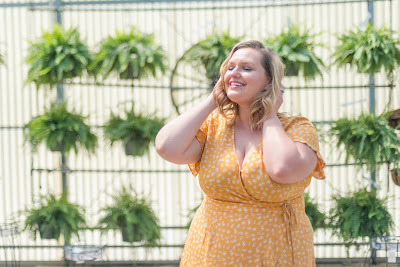 KINSEY, we can still tell this outfit is PERFECT from these photos. Seriously. I am going to try to copy something like it for Valentine's Day!! You would have fooled me with the bad pics. Also, I honestly wouldn't have even known that was snow on the ground unless you had said something. Totally had me, but yes that happens to me all the time and that's where I wish my editing skills were a little bit better. I think these pictures look awesome! I love the colours of your top and skirt! You look great!